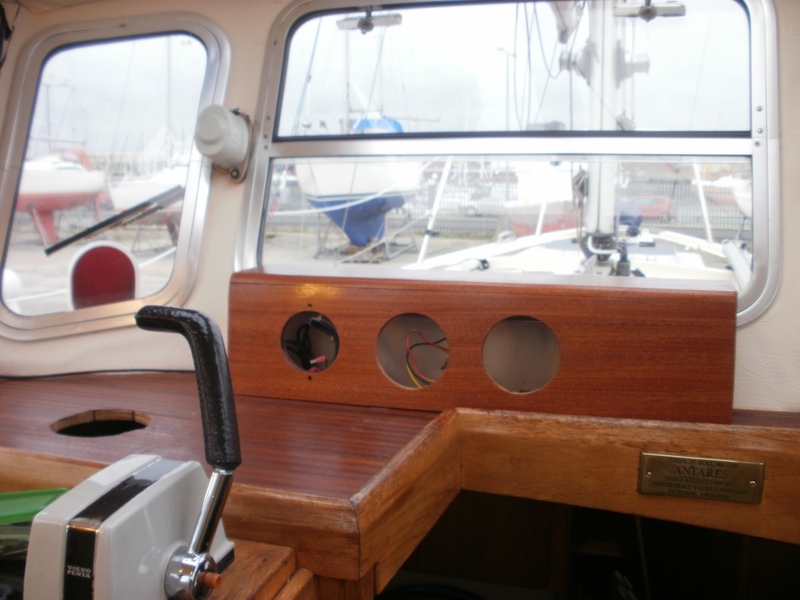 First trial fit of the instrument pod onto the mahogany veneered dashboard.must now save up for the instruments!! Very nice blog which is of great interest.I was born a bit too long ago to be really computer literate,so I don’t know how to do blogs! We have a sister ship to yours,almost an exact double in fact. Otter was built by Northshore in 1999 and is hull no, 249. 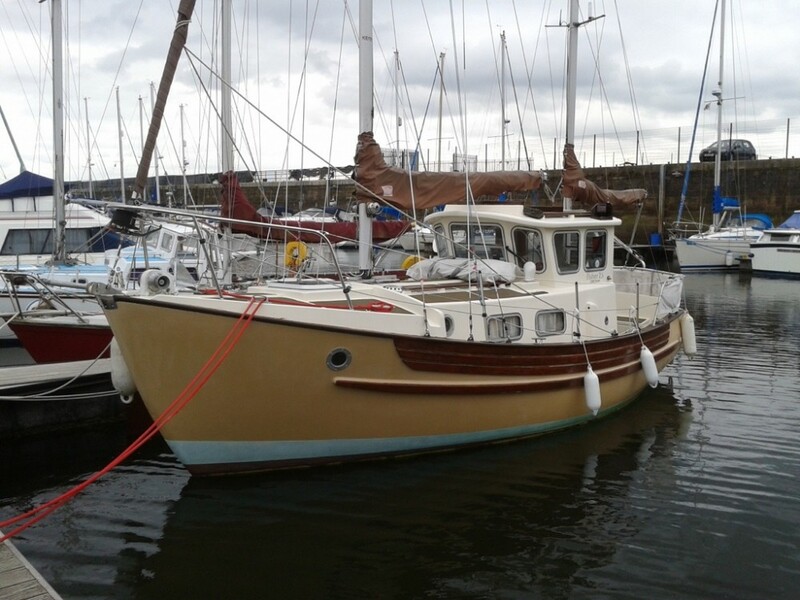 I bought Otter in 2009 from a broker in Troon.We had two years in the Western Isles which whilst we had some good times finally allowed the weather to get the better of us,so we sailed South. we have been in Southern Brittany for the last two years,and the weather is a lot better there. It’s still good to have a wheelhouse to shelter in though,and the Fisher is greatly admired where ever we go. Harbour masters always seem to give us a good berth.Sometimes they think Otter is made of wood! Thank you for your nice comments David. The blog was suggested by my sons to keep then informed of our progress without having to send them photos. The hardest part was remembering to take pictures whilst working on the various projects. Ok on the west coast of Scotland, we cannot wait to get he boat up to Largs, sailing from Fleetwood marina is becoming much less fun now the large commercial vessels have left and dredging of the river and approaches stopped and the massive wind farms under construction. Enjoy sailing Otter in warmer waters.